Our hostess for today is Robin and our theme is altered items. You should have arrived here from Cicily's blog. For today's hop I finished the items I am making for Michael's desk set. 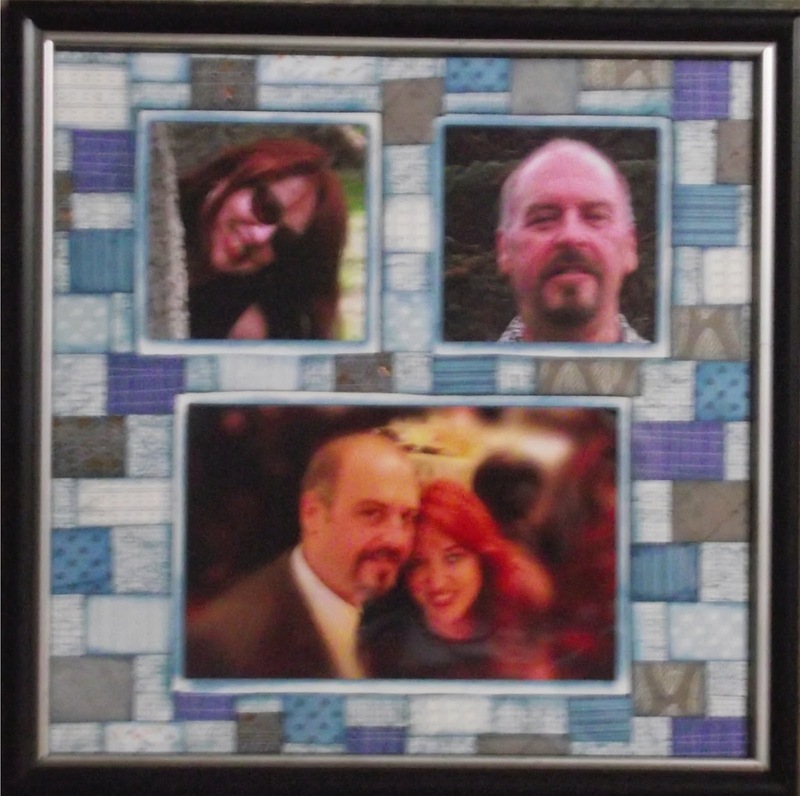 The last 3 items are an altered frame, a pencil cup and a paper clip holder. Be sure to stop at all the blogs and leave some love in order to be eligible to win some blog candy from our hostess. What a wonderful coordinated desk set! Classic projects! I keep meaning to do this for myself....you've inspired me again! Oooh, this looks like a mosaic!! Love it! what a transformation! they look great! Very pretty alterations to such common objects. It makes them all the more fun that they go with items you've previously altered. Nice job. Great job on these projects! I know they'll all look great on your hubby's desk. TFS! Great desk set - love how you repurposed the cans.